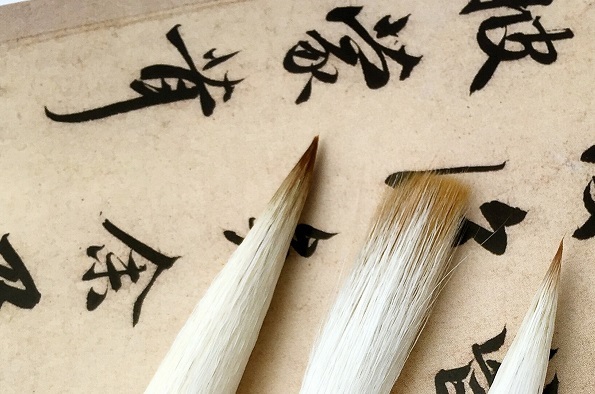 Mr Kim Fo MUI, a retired professional Chinese Calligrapher and the father of the owner of the Brilliant Education Expert Group, would like to promote his love of Chinese Calligraphy to people living in the UK. Although he is now retired, his love of the arts persists, and like his teachers he wishes to share his love of art of Chinese Calligraphy with other people. Mr MUI is now offering free educational Chinese Calligraphy related activities such as talks, demonstrations, workshops for any schools, and helping museums and nonprofit organisations during his stay in the UK to promote Chinese culture. As part of this plan of activities, Mr MUI will deliver a calligraphy workshop here at the Confucius Institute, University of Liverpool. The Workshop will be delivered in Chinese, but interpretation in English is provided. This event is free, but booking is essential. Book early to avoid disappointment. 1947-1952: Studied at Hong Kong Kin Kung Calligraphy College. Fellow students of three teachers: Kin Kung AU (區建公), Shuk Chung LAW (羅叔重), Wah Sam MAK (麥華三), who are all well-known Chinese calligraphers in the Langnan area (South Canton area in China). Once a committee member of the Student Union. In 1980: Got recommended by Wah Sam MAK (麥華三)(Professor of the Calligraphy Department of the Guangdong Academy of Fine Arts) (廣州美術學院書法系教授), Gang YONG (容庚) (Professor of the Chinese department of the Guangzhou’s Sun Yat Sen University, and an ancient scripts expert) (廣州中山大學中文系教授，古文字學家) to become a member of the Guangdong Provence Calligraphy and Chinese Seal Study Association(廣東省書法篆刻研究會會員), which is now known as Guangdong Provence Calligrapher Association(廣東省書法家協會). Participated in study and work related to Calligraphy for more than 30 years. In 2000, was invited and hired by Mr Chung Min CHAN the former headmaster of the La Salle Primary School as the Calligraphy Consultant for the Keen Mind Kindergarten(劍鳴幼稚園) Chinese department, teaching Parents and Child Calligraphy interest class, focusing on studying how to teach toddlers to write.